System of water heating with natural or forced circulation allow you to create heat in the room, independently from the Central heating. Besides, this is almost 4 times cheaper, because payment is made only for wasting natural gas and not for the transportation carrier to the subscriber and other services. 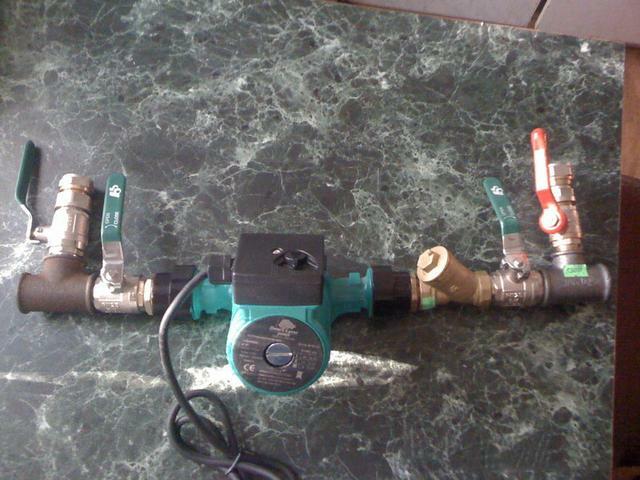 To force system water through the pipes is driven by the circulation pump, so to install it properly. Define the parameters for the circulation pump. To do this, calculate the heat loss of the building according to the tables of the thermal conductivity of materials. Also keep in mind the length of the pipeline, its diameter and the number of radiators. The use of forced circulation systems, in contrast to the natural, allows you to hide the main and return pipe at the bottom of the wall. In the latter case, if the height of the rooms is small, the delivery pipe can block part of the window that breaks the appearance of the premises, especially if held in front of the balcony door. Install the circulation pump in the piping of the return line. Thus, it interacts with a chilled coolant to prolong its operation. In the system of forced circulation, in contrast to the natural, the surge tank also connect to the opposite line, and not to the main strut. Disconnect the boiler. Shut off valves on inlet and outlet pipe of the water pump. Will hitched the nuts that pump bolted to it. Put the circulation pump horizontally, otherwise the impeller will make a lot of noise, which will lead to early failure of the device. Usually the systems forced heating, apply a three-speed low-noise centrifugal devices that create small water pressure while moving significant volumes. Install circulation pump as an additional device in the system of natural circulation. To do so, attach the pump split thread and filter diameter similar to the diameter of the pump. In the case when the system operates under pressure, buy check valve, which corresponds to the diameter of the threads of the device, the other option (open system) it is not required. Mount the pump on the bypass line (under it) on the main or return line, check valve. Install the bypass device to vent air from the system. If the design is set vertically on the straight piping next to the boiler, it is not needed. This system ensures the heating even during a power failure.